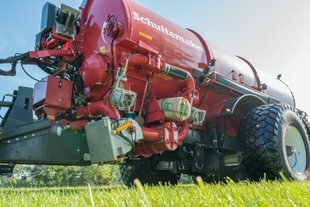 Pump tank wagon - Robusta | Schuitemaker Machines B.V.
All the Robusta tank wagons are fitted with an 8-position reduction gear unit. Robusta model 130 and higher can be fitted with a continuously variable hydrostatic pump drive mechanism. 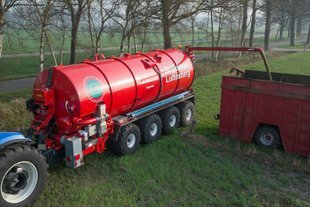 The Robusta 100 and 120 are the smallest of the range and come standard with a hydraulically braked single axle. Air brakes are also available (optional). 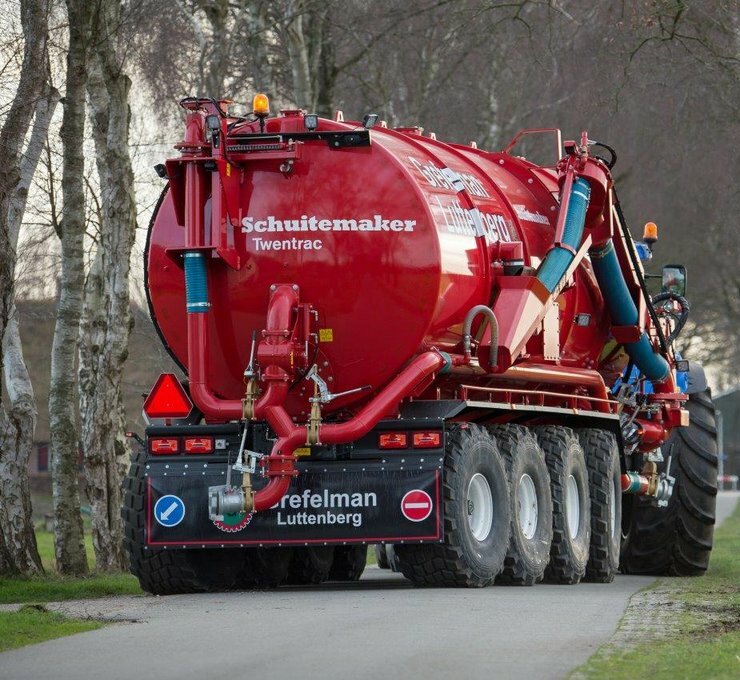 These tanks can also hold a number of optional extras, such as a vertical 8'' slurry arm. 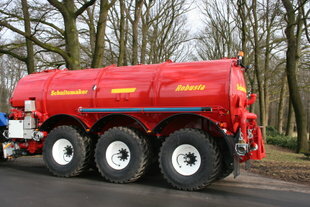 The Robusta 130 and 160 tanks are fitted with a variable track width axle. These single-axle wagons also come standard with hydraulic brakes. 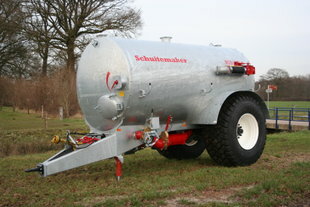 The Robusta 155 and 190 are tandem-axle tanks that have the galvanized body integrated in the chassis. These tanks come standard with a boogie suspend following steered tandem. 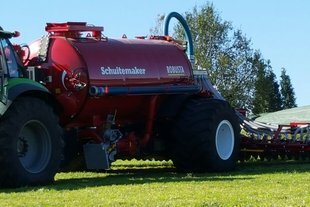 The Robusta 145 and 165 come with a hydraulical suspended tandem with forced steering. 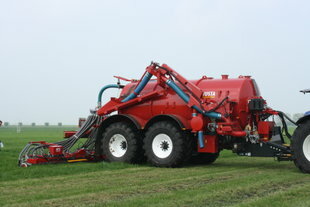 The front axle is also available as a sliding axle (optional). 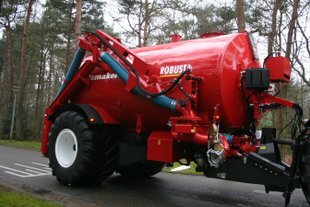 The Robusta 205 series (205 / 225 / 275) also comes standard with a hydraulical suspended tandem, but is electrical steered. 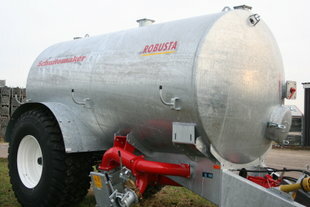 And finally, the Robusta transport tanks are also part of the range. 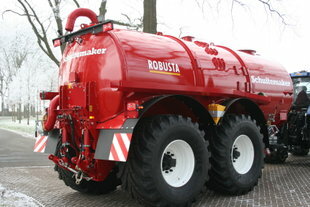 These are available with a capacity of 34 and 37 m3 and Schuitemaker build the tanks based on customer specifications. 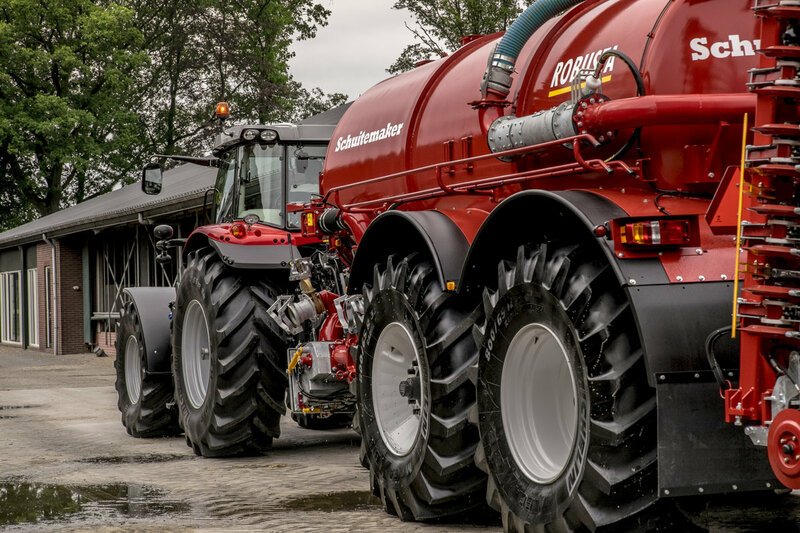 In short: all the Robusta tanks in the range come fully equipped and are available with a capacity of 10 to 37 m3. More information about the Robusta? Click here to learn more about the Robusta. 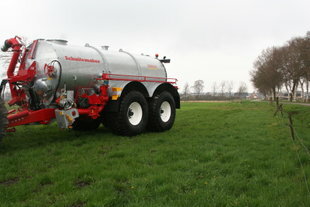 A (transport) pump tank wagon holding approx. 34.000 and 37.000 litres capacity.